Cannabis-focused media company High Times is introducing an over-the-top video platform, called High Times TV, specifically for cannabis content. High Times believes the platform will allow its community to host and monetize content around marijuana — akin to a YouTube for cannabis-specific video content. In April, news circulated that YouTube was “purging” cannabis-focused channels, shutting down channels with hundreds of thousands of subscribers. Some believe the move is to protect YouTube from running ads on “objectionable content,” after the platform received backlash for running ads on videos with violence, hate-speech and disturbing scenes. But High Times says this is happening on other social platforms, too, like Facebook and Twitter. It claims cannabis content is being demonetized, shut down or de-prioritized on these sites. People involved in cannabis culture say they feel censored — particularly because marijuana (medical and recreational) is legal in 29 states and Washington, D.C.
“The huge demand for mobile-friendly premium video includes a real hunger for the cannabis-related content that social-media sites are all too often blocking,” stated High Times CEO Adam Levin. 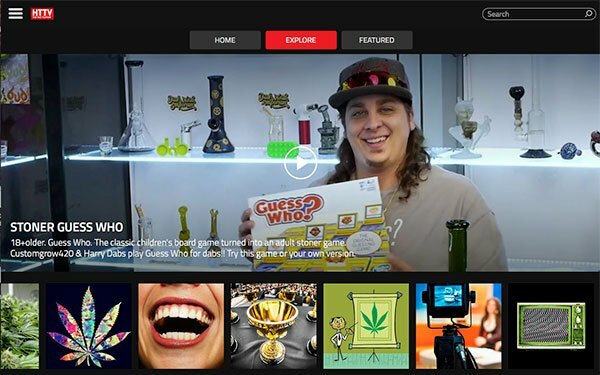 Most of the video on the OTT platform comes from High Times, but the publisher says it is welcoming other brands to contribute content. High Times TV will be ad-supported. The publisher will sell its own ads for endemic brands, but also wants to catch the eye of brands that are not directly related to cannabis culture but see opportunity in the industry. "It was important to us to not only help the creators monetize their efforts, but create a brand-safe environment for our industry,” Levin told Publishers Daily. “In their efforts to clean up their acts, much of the adtech community jumped to blacklisting advertisers as opposed to working with them to find the right opportunities for their brands. We want to cater to those brands, those legitimate enterprises looking for premium ad inventory, in a way that no social or publishing platforms can currently offer," Levin added. High Times has partnered with video streaming service Unreel to help develop the OTT platform’s apps. High Times TV is integrated with Unreel's digital ad networks — including Roku and Google Ad Manager — in an effort to create new monetization opportunities for creators in the space. High Times TV (HTTV) lives on tv.hightimes.com and is available as an app for iOS, Apple TV, Android and Roku. It features content like marijuana cultivation and extraction lessons, comedy shorts, behind-the-scenes exclusives from High Times’ Cannabis Cup events and vlogs from industry influencers. High Times is gearing up to officially launch its IPO later this year.